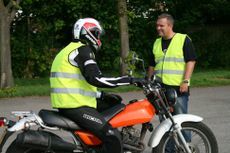 All you need to know about learning to ride - from mopeds to motorcycles and the different types of licence. 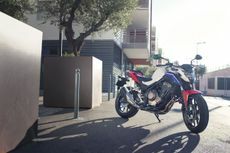 When it comes to motorcycling, a lot of people - quite rightly - focus on the riding safety of the rider, and there are literally hundreds, if not thousands, of articles across magazines and the internet focused on choosing the right helmet, the differences in the kind of armour available and how to select the most protective pair of gloves. But what about your bike? Beginning your motorcycling journey can initially seem like a daunting prospect. People will tell you that it’s too impractical, too expensive or simply too dangerous, but if you can deflect a lot of that, then it you’ll find that it will could soon become one of the most rewarding experience of your life. In fact, the training and lessons themselves are actually straightforward - and most of all, they should be fun! Whether it's being able to get on your bike at 16, a less intimidating amount of power, fuel efficiency, speeding up your commute, or something else, there are loads of reasons why a scooter could be the best choice for your first motorcycle. The original Speedfight in 1997 set the template for the 16-er sports scooter. This latest version, complete with phone dock, USB socket and more is still the standard by which all others are judged. While it’s true that the utopian dream of electric-powered scooters and motorcycles is still some way off, despite repeated efforts by various manufacturers and the glamour of the likes of the TT Zero race, there are signs that a watershed moment might be approaching – from no less than Honda themselves. Which 125 should you go for on a £2K budget – a reputable but three-year-old used machine or a brand new budget one? It might be cold, wet or even icy, but motorcycling in winter can still be fun and effective if you follow a few golden rules. Which motorcycle helmet is right for me? Your helmet isn’t just one of the most expensive biking purchases you can make – it’s one of the most important. Here’s why. Based in the grounds of the British Motor Museum in Warwickshire, the Get on programme will give free lessons to people who want to learn to ride a motorcycle or scooter. What is an 'A' motorcycle licence? The A licence is the top level of licence, and it allows you to ride motorcycles or scooters of any power. When you are 19, you can progress to an A2 motorcycle licence. The Compulsory Basic Training (commonly known as CBT) must be completed before you ride any moped, scooter or motorcycle on the road. You must be at least 17 years of age to hold an A1 licence, and once you have passed the two-part test, it allows you to ride a motorcycle or scooter up to 125cc and with maximum power of 11KW. If you're confused about all the various types of motorcycle licences, let Auto Trader's experts explain how the system works and help you to understand how to get the one that's right for you. MCIAC accredited training school directory - you can be assured of high standards of training and customer service at each one of these. 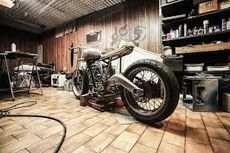 Advice on every aspect of running your bike, from saving money on your insurance to preparing it for winter.